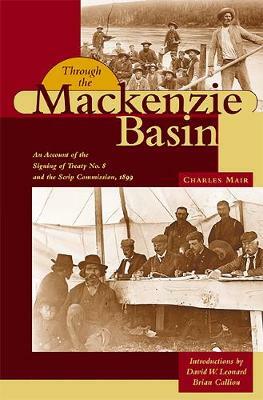 When Through the Mackenzie Basin was published in 1908, it became an immediate success as an adventure book on the unsettled regions of Northwest Canada. Many of the issues the book addresses are still topical and contentious, a century after the signing of Treaty 8. In this new edition, David Leonard's introduction puts Mair's work into its historical context, while Brian Calliou's introduction adds a First Nations perspective. Charles Mair's first-hand account of the siging of Treaty No. 8 at Lesser Slave Lake in 1899 and the distribution of scrip in the District of Athabaska "has come to constitute the most detailed published source for the interpretation of these events," albeit from Mair's imperial perspective, notes Leonard, as "a government supporter, ardent Canadian nationalist and firm believer in the British institutions." This edition also includes the complete text of Treaty No. 8 including signatories, the "Order In Council Ratifying Treaty No. 8," and "The Report of Commissioners for Treaty No. 8."